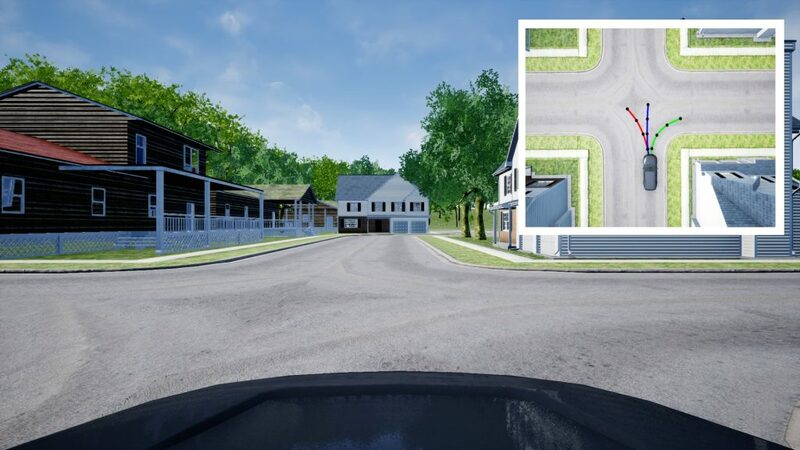 Screenshot showing our sub-urban simulation environment. 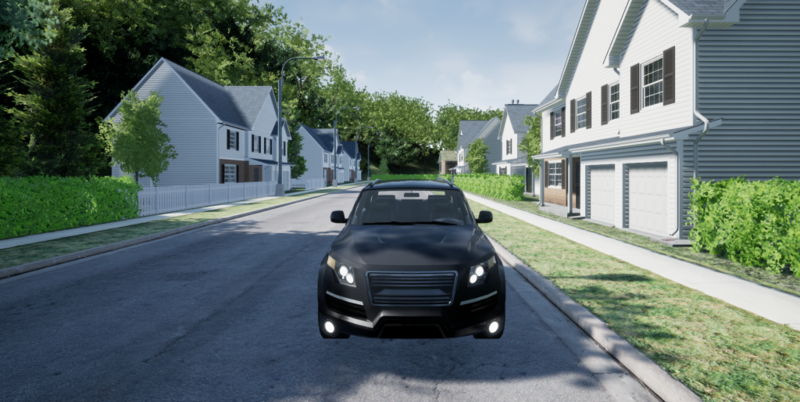 Screenshot showing our car model in first-person view. 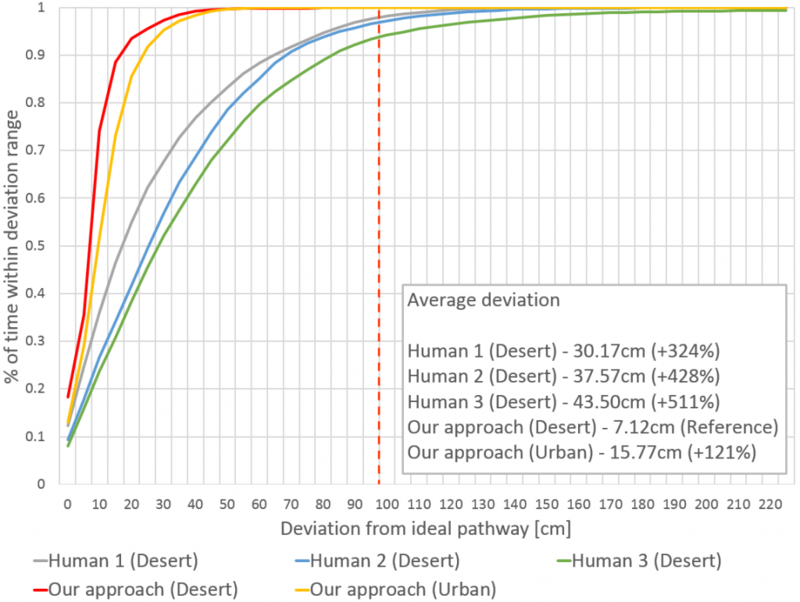 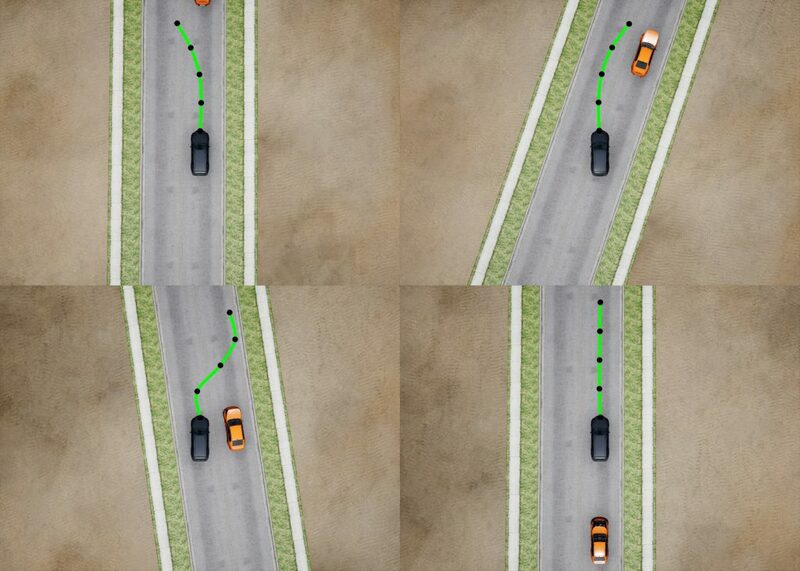 Performance comparison of our approach to human drivers. 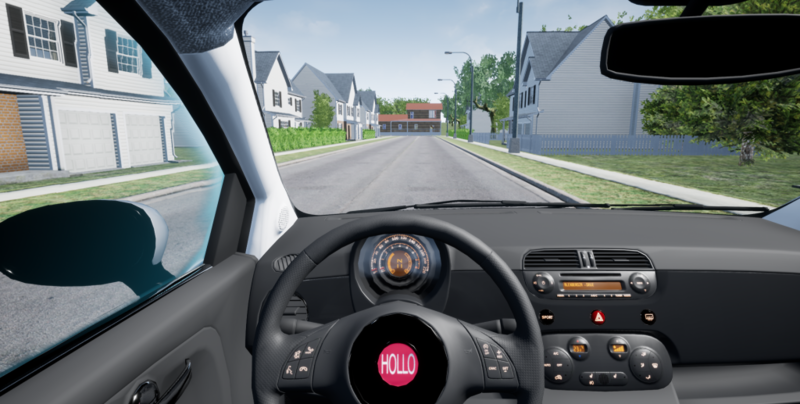 Our car in front of an intersection, sensing the three opportunities of where to drive next. 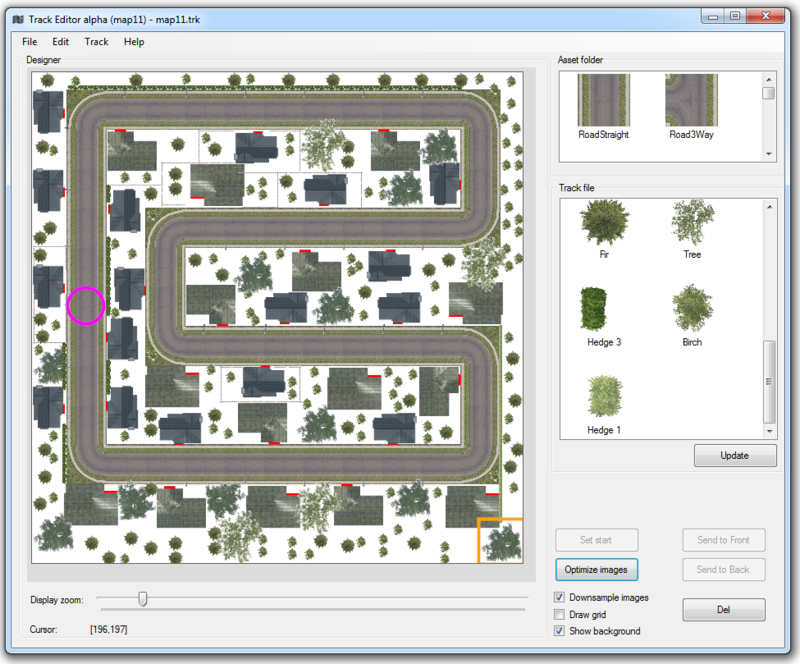 Track Editor Software developed to easily generate entire road networks and environments by hand or at random.